Steering dampers make it difficult to turn the handlebar while parking (e.g. on a two-leg stand), while making the wheel significantly more steady. The general riding comfort due to higher stability and the directional stability are impoved (e.g. while riding with baskets or bags). 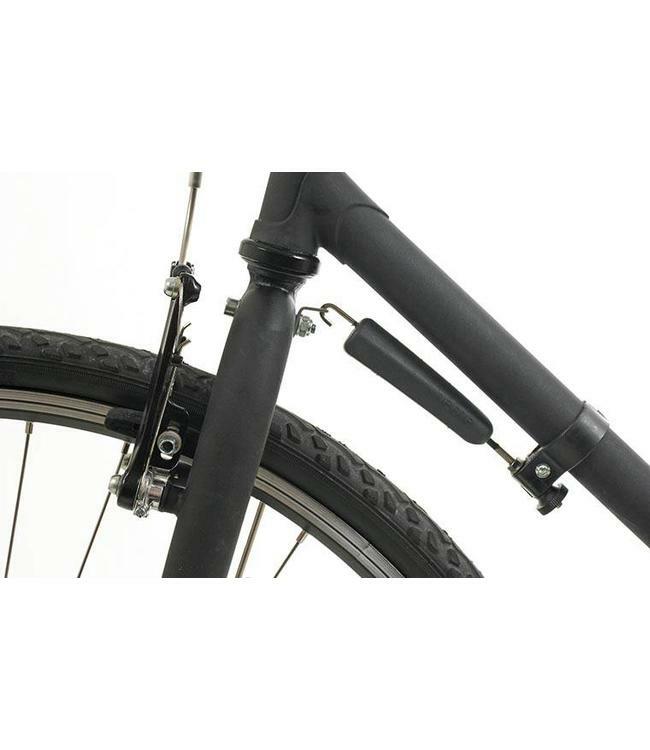 Frame, electric light cable and other accessories are no longer damaged when the handlebar is turned.